Nissan is blazing a trail through Goodwood this weekend, bringing its ground-breaking, all-electric BladeGlider prototype and latest generation sports cars ­– the GT-R NISMO and MY17 GT-R – to the iconic Festival of Speed. Last driven on the Monaco street circuit, the BladeGlider showcases Nissan’s most cutting-edge zero emission technology and innovative automotive design. Offering a glimpse into the future of sports cars, this eye-catching vehicle will be unleashed on the iconic Goodwood Hillclimb during the first three days of the event, thrilling guests with the sheer power of its 100-percent electric powertrain. On the final day of the show, BladeGlider will be out on the Goodwood circuit offering select media a rare opportunity to take part in some of its first pan-European drives. In between runs, BladeGlider will be on static display in the Paddock, allowing visitors to get an up close look at this, the future of performance cars, which embodies Nissan’s Intelligent Mobility vision of how cars should be driven, powered and integrated into society. 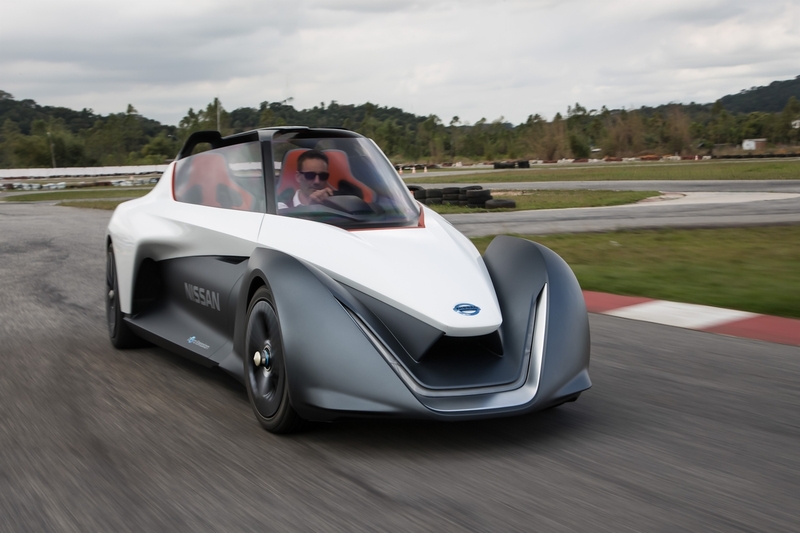 BladeGlider is not the only sports car that will be bolting from the Nissan stable during the Festival weekend. The ultra-desirable flagship model in the Nissan GT-R line-up, the GT-R NISMO, will be showing off its highly tuned race car credentials on the Supercar Run on Thursday, Friday and Saturday. On Sunday, the MY17 GT-R will be taking up the mantle, roaring up the Hill to remind the crowds why it is one of the most-coveted supercars in the world.